(Irving, TX) – AAA Texas is hosting free Shred-a-Thons at three branch offices for AAA Texas members AND non-members. Shredding unneeded documents protects you from identity theft, provides peace of mind, and saves the environment by recycling paper that would otherwise take up space in a landfill. *Location also offering Travel Agent Hiring Event (Visitors encouraged to bring resumes). Documents for shredding may include names, birth dates, and account numbers. According to the Office of the Texas Attorney General, protecting your identity begins by limiting the number of places where your personal information can be found. 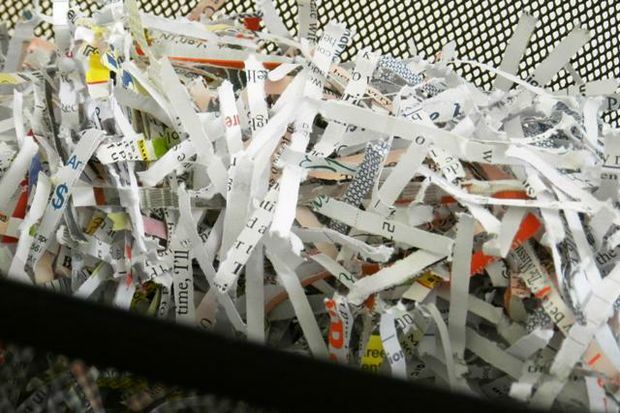 “We want to help Texans reduce their chances of becoming victims of identity theft by offering these free opportunities to shred sensitive documents before they end up in the wrong hands,” said AAA Texas/New Mexico Representative Doug Shupe. Additionally, according to the U.S. Environmental Protection Agency (EPA), every one ton of paper recycled saves enough energy to power the average American home for 6 months, conserves 7,000 gallons of water, and prevents filling 3.3 cubic yards of landfill space. Plastic bags and binders, folders, laminated paper, or other non-paper materials should be removed prior to attending the Shred-a-Thon. Shredded material will be recycled. As North America’s largest motoring and leisure travel organization, AAA provides more than 54 million members with travel, insurance, financial and automotive-related services. Since its founding in 1902, the not-for-profit, fully tax-paying AAA has been a leader and advocate for the safety and security of all travelers. AAA Texas can be visited on the internet at www.AAA.com.